After a tense meeting, the Portland school board decided to split ACCESS Academy between Lane and Vestal schools. Not one seat was empty at the school board meeting last Wednesday night, as the Portland school board voted to find a new short-term home for ACCESS Academy, Portland's alternative school for talented and gifted students. 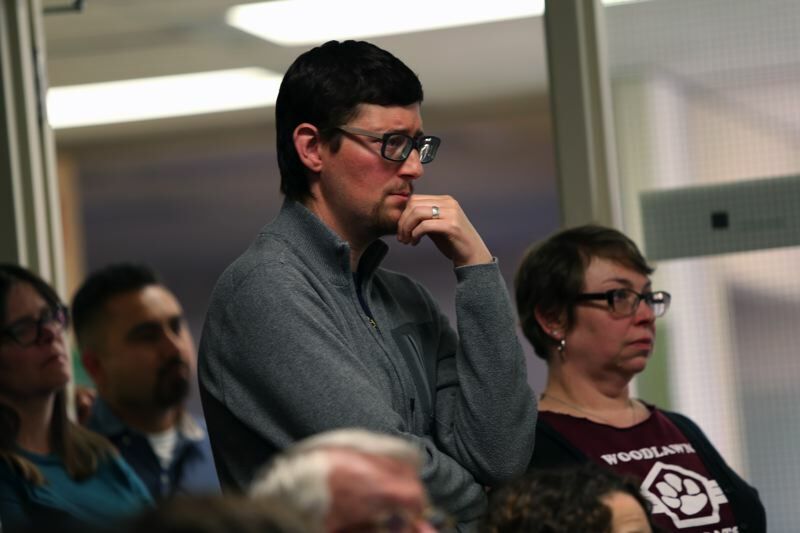 By a 6-1 vote, the Portland Public Schools board agreed to split up ACCESS, with the first through fifth grade moving into Vestal Elementary, and sixth through eighth grade moving in with Lane Middle School. Parents, teachers, principals, school board members, interpreters, and a few ACCESS kids crowded into a conference room at the Blanchard Education Service Center to hear where ACCESS will be located in the coming school year. In the midst of a lawsuit from a coalition of ACCESS parents, tensions were high and emotions were visible. The ACCESS program of about 300 students has never had a permanent home. It moved from Sabin School in Northeast Portland to share a building with Rose City Park School in 2013. But that program needs more space as the district reorganizes its neighborhood schools, so ACCESS needs to move out. The comprehensive talented and gifted or TAG program is likely to move again, as the district works to find a more permanent home. 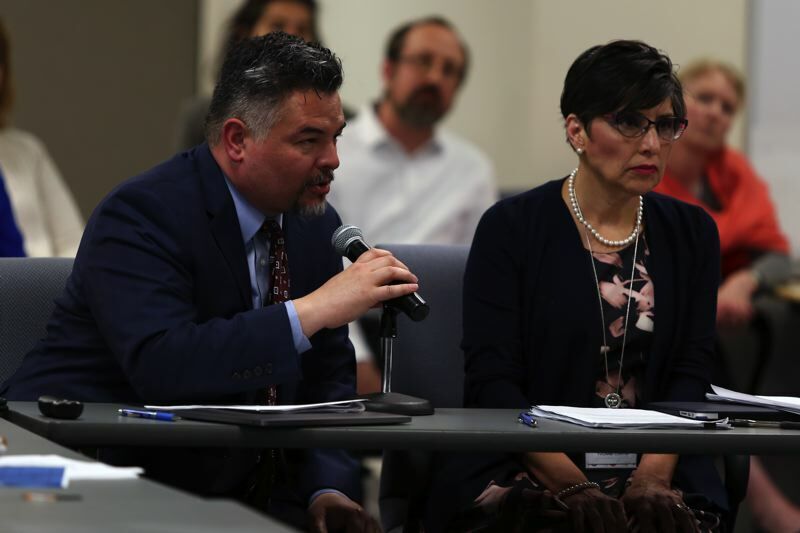 Portland School Superintendent Guadalupe Guerrero said the choices for where to locate ACCESS have been difficult and not ideal. Guerrero laid out the options administrators considered after scrapping the last plan to move it into the Pioneer Special School program south of Mount Tabor. Vestal and Lane were considered superior choices for the move than the other option, Peninsula and Woodlawn elementaries, because sixth through eighth grade students would be in a comprehensive middle school at Lane. The superintendent said the timeline made it difficult for them to come to a decision, and tried to reassure parents that colocation can have benefits. "There are possibilities that could benefit both communities and we'll need to continue conversations with the hosting principal as well as the ACCESS administrator in order to do that," Guerrero said. There's also an opportunity for schools to share professional staff, he said. However, parents and kids from ACCESS — as well as staff from the potential schools chosen — voiced their resistance to the move. Save ACCESS Academy Association filed a federal lawsuit against Portland Public Schools for failing to provide talented and gifted services to students as required by state law for the last 30 years, as well as for discrimination against children with disabilities. About 20 percent of ACCESS students have disabilities, according to the association. Parents at the meeting were worried about these students, saying the constant jostling and uncertainty of their school's location has caused stress and anxiety among kids who already have enough mental stresses. Many also stated their discontent that ACCESS — with about 60 percent white students and an advanced curriculum — would collide with these Title 1 schools serving low-income areas. Although Deputy Superintendent Yvonne Curtis assured attendees that Title 1 status would not be affected in these schools, parents and school staff still said it would affect current students negatively. 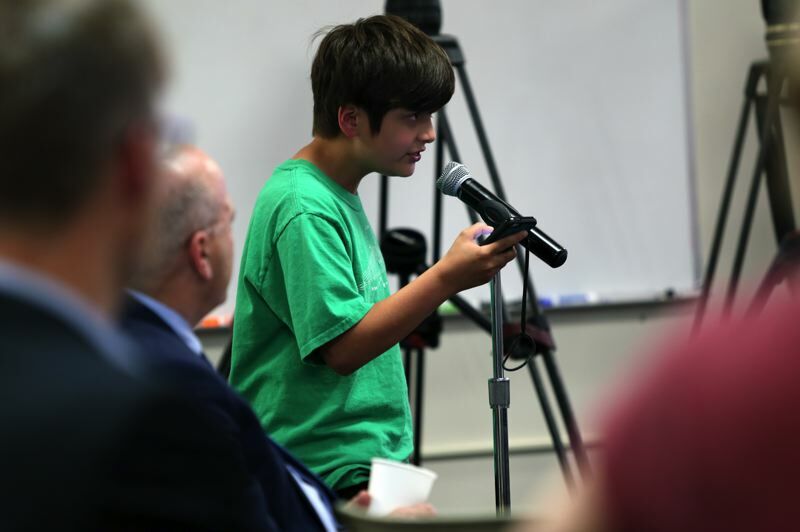 "Squishing a special program into a neighborhood school isn't right for either community," said Peninsula teacher and librarian Jenny Gapp. "Leave ACCESS at Rose City Park," she added, to cheers and applause. "Many have demonstrated it's feasible and more desirable." School board member Paul Anthony also asked about leaving ACCESS at Rose City Park and was applauded by parents. However, Curtis said they didn't look at that, to a dissatisfied grunt from the crowd. Rose City Park was not considered, according to Curtis, because there was already a unanimous school board vote to set boundaries and turn it into a neighborhood school. Woodlawn parent Connie Umphress stated that the Northeast Portland school has dealt with enough gentrification, and putting a predominantly white academy in a very diverse school comes from a "separate but equal" mentality. Woodlawn is 28 percent white. Vestal kindergarten teacher Anna DeVille expressed similar concerns, saying it's a highly trauma-impacted community and that there are huge issues of equity. Vestal, located on 82nd Avenue north of Burnside, is 44 percent white. "Students will nearly double," DeVille said. "The most vulnerable kids won't have room for services. 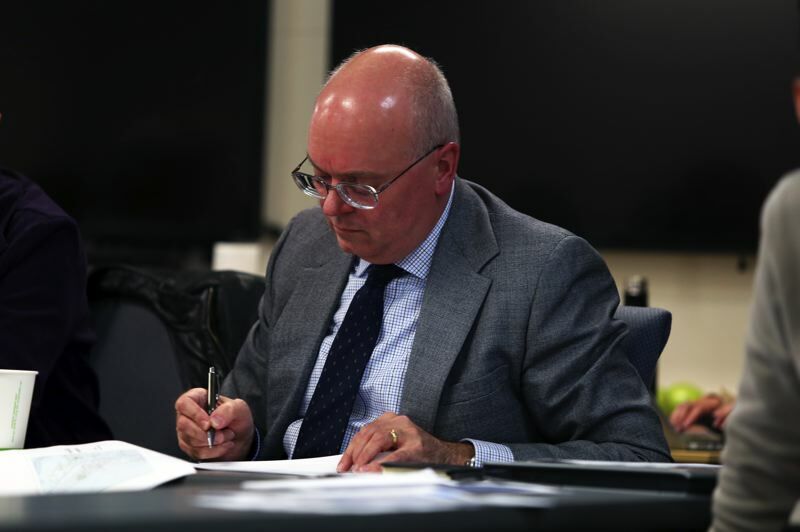 Co-location will add to the immense challenges the community already faces." Parents and school staff also voiced concerns over transportation with the new school choices. Although ACCESS students are spread throughout Portland, some students will have more than an hour bus ride both ways now, according to fourth grade ACCESS student Kirin Cowell-Shah. Lane and Vestal are within five miles of one another, near 82nd Avenue. The question of what the program will lose was also brought up many times, such as computer labs, counseling space, and music or art rooms. "Breaking us up is mean," said Cowell-Shah. "We're a community and do things as a whole school. You should not make this decision. You keep saying you don't want to displace anyone; don't displace us." ACCESS organizes students based on skill level, not grade, which may pose a difficulty in the co-location of the school. Cowell-Shah is currently a fourth grader taking eighth grade math. He should be taking ninth grade grade math next year, but he may not be at the same school as the other high-school level math students. "Do you expect me to not study math for an entire year?" Cowell-Shah asked. Megan Robertson, parent of three Portland schools students, including one at ACCESS, said ACCESS needs its own building due to how the students are grouped. "Two locations will require extra funds and teachers," Robertson said. "ACCESS kids have tight connections. Why are we rushing to push a vote with such impact? Leave it at Rose City." The estimated cost of transportation and staff to move ACCESS to Lane and Vestal is $1.1 million, according to the superintendent's presentation, while costs at Peninsula and Woodlawn would be approximately $600,000. Some parents complained about the lack of communication and timing of the decision. Board chair Julia Brim-Edwards said it's been too long of a process for ACCESS and too short for the new schools, but they wanted to come to conclusion before summer started and families aren't around to weigh in. Jared Goodman, parent of a Woodlawn kindergartener, said he just received an email about this decision the day before. "You're making a decision that truly and clearly has a tremendous impact," Goodman said. The school already lacks enough resources, he said. "How will bringing a predominantly white program to a more diverse environment impact them? I didn't see that at all in the criteria you discussed," Goodman said. Board members hesitated when it was time for discussion, to which an audience member said, "Seriously? Silence? Crickets?" Board member Anthony broke the silence, and said he couldn't support the resolution due to lack of time. "I can't vote for putting more kids into Lane. I wish that it had been brought to the board sooner than yesterday, because there's been no time. I would be persuadable, but I have not been persuaded." Other board members began to chime in. "There's pretty much nothing about this process that has been good," said co-Vice Chair Rita Moore. "I think this solution is the best we can do right now. I'm fervently hoping that as we take care of the ACCESS program, we also take care of the kids in the programs at the neighborhood schools." Audience members mumbled among themselves, a few getting up to leave, and some shedding tears. Co-Vice Chair Julie Esparza Brown said that it was imperative that they make the decision now so there's enough time to prepare programming, though she said they'd be watching carefully for other options. After the final vote, one angry parent shouted, "shame on you." UPDATE (6/5/18): This story has been corrected to reflect Kirin Cowell-Shah's grade level in math.